On the day of his birth, Paul Roux’s Aunt Mireille had a dream that he would die on his fourteenth birthday. Coddled and protected as a child, Paul, nicknamed Pepper by classmates, grew up sheltered, knowing more about last rites and funeral masses than fairy tales or sports. When his fourteenth birthday finally arrives and with it the realization that his family is waiting for his death, Pepper decides to go out and meet his fate head on. Instead, Pepper finds himself involved in an odd string of events, each more strange than the last. Um, that's right; The Death-Defying Pepper Roux takes place in France, at the early part of the 1900s. There are certain details that place the action in the 1920s or 1930s - for example the fact that Pepper takes a taxi at one point, but I could be completely wrong. I felt that the setting and possible time period really added to the odd nature of Pepper's adventures and even lent them an air of mystery. 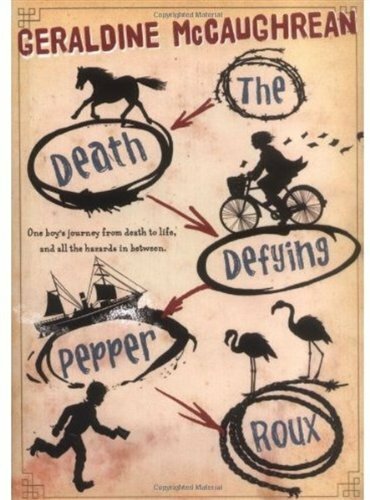 The Death-Defying Pepper Roux is a strange book, but one that makes you think. A recurring line is “People see what they expect or do they see what they choose?” To me this was the central question, because how else would a fourteen year-old be able to fool so many people into believing he was a ship captain, a telegram messenger, or someone's thought to be dead husband? Also, I think it took some suspension of belief and a "let's just see where this takes us" attitude for me to really enjoy Pepper's story. But in the end, I did like it. Plus, the language is terrific. 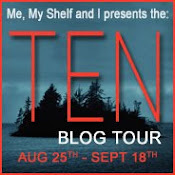 It may scare off some readers, but if they stick with it they will find a fun story that asks some interesting questions. 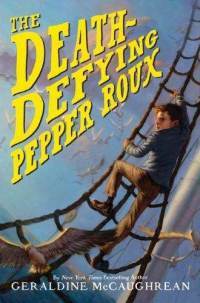 I feel that The Death-Defying Pepper Roux skewed a bit young, so even though Pepper himself was 14, I would feel comfortable recommending it to intrepid readers as young as 9 or 10. However, older readers could enjoy Pepper's adventures as well, especially if they like quirky stories. What an interesting premise - I'll have to check it out.